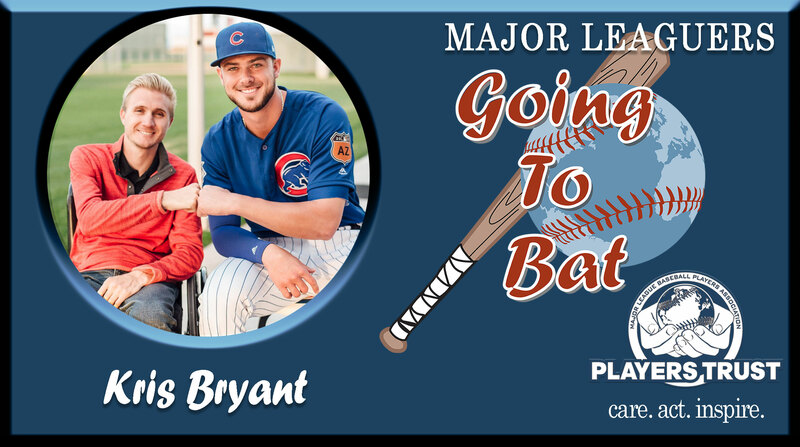 Players Weekend, when Major Leaguers are permitted to wear nicknames on their jerseys and customize their equipment, provides a great opportunity for Cubs superstar Kris Bryant to pay homage to the three cities he’s called home as well as to a friend who inspired his charitable efforts toward funding research projects to help find cures for spinal cord injuries. A Las Vegas native who played collegiately in San Diego and is now a cornerstone in Chicago, the reigning National League Most Valuable Player will wear a pair of cleats depicting iconic imagery from those cities, one for each of the three games over the Cubs’ weekend series in Philadelphia. Most importantly, the spikes will also promote Wings for Life Foundation, a non-for-profit dedicated to spinal cord research, a cause to which Bryant has dedicated himself to since 2011 when his friend, Cory Hahn, was injured and paralyzed while sliding into second base as a freshman at Arizona State. Bryant selected three Chicago street artists to customize his Adidas cleats using the theme of “wings” for creative direction.